Amanda joined our firm in 2009. She “stumbled” into immigration law when she joined a small firm in San Diego as a legal assistant over 14 years ago. Amanda soon realized that helping clients achieve their dreams of living and working in the United States brought her deep satisfaction and supported her own dream of serving others. She uses her library science background to research difficult legal questions and enjoys finding creative solutions to complex business immigration matters. 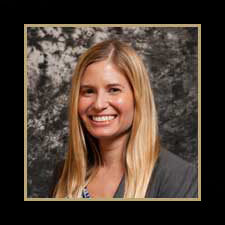 Amanda has extensive experience in both family-based and business immigration, including, but not limited to, investor visas (EB-5 and E-1/E-2), visas for extraordinary ability individuals (EB-1 and O-1), and visas for business professionals (H-1B, L-1A, L-1B). Amanda’s favorite cases have included extraordinary ability petitions for researchers, pianists, hair stylists, chefs, artists and designers, and film directors. Amanda works from the west coast, and in her free time, enjoys spending time with friends and watching the sun set over the Pacific.